Maverick Series Football Boot & Ball Premium Glass Plaques. Available in 4 sizes, 140mm, 160mm, 180mm and 200mm high. 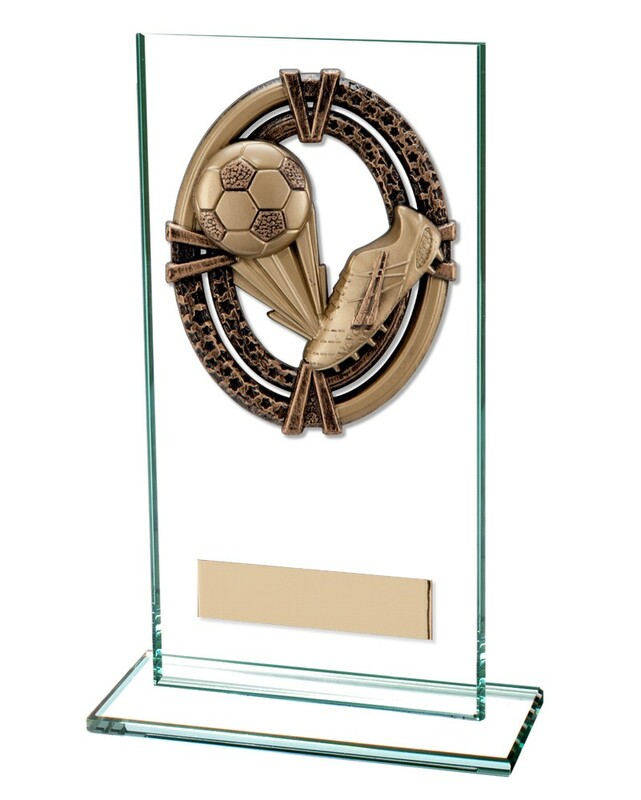 Bronze football boot & ball scene mounted onto a glass award.